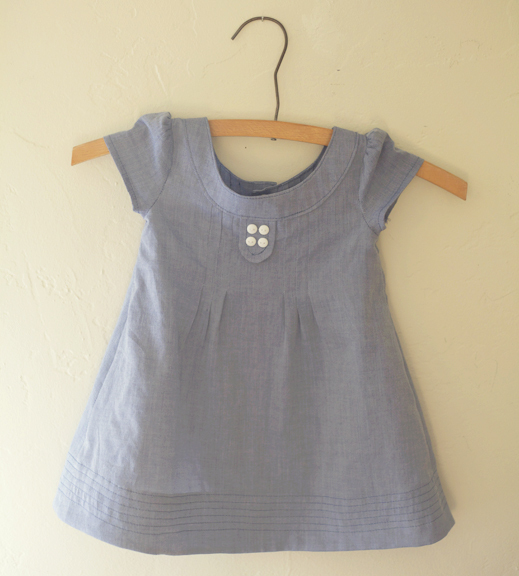 In a bout of procrastination, I made the Oliver + S Family Reunion Dress for my little niece. I used some of the indigo-dyed batiste from FineFabrics.com that was leftover from my circle skirt project. 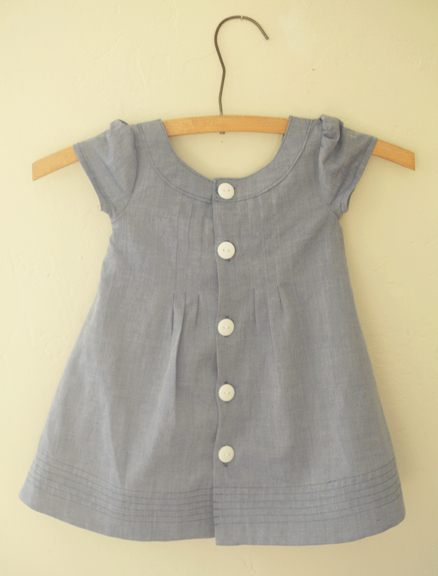 I love the cute little sleeves and the button tab detail. I also learned how easy it is to turn a facing to the outside, which creates a nice band of fabric around the neck. 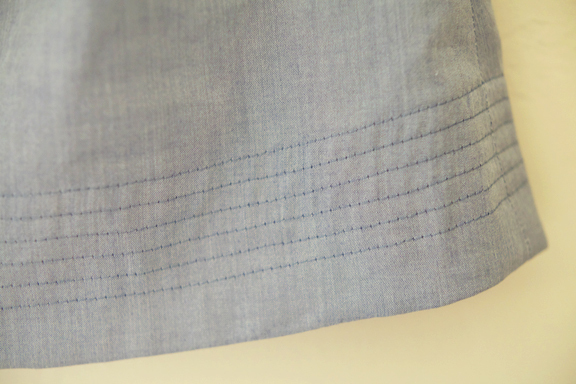 Since the fabric resembles a light denim, I topstitched around the edges of this neck band, as is typically done around the waistbands of jeans. The hem for this dress is created by stitching on a facing, and then it’s topstitched like crazy. 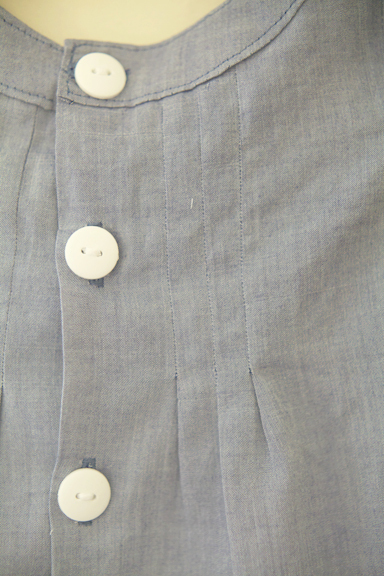 The back contains the best buttonholes I’ve ever made. Seriously. 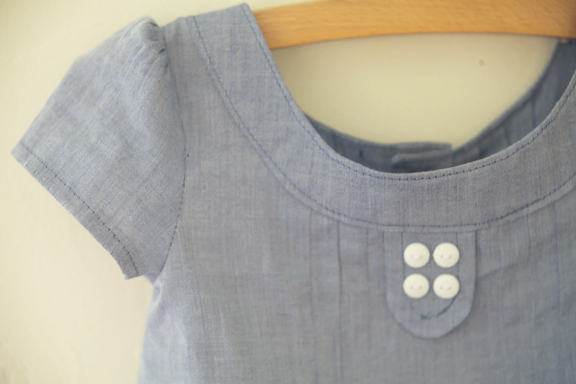 I watched in amazement as my machine stitched beautiful buttonhole after beautiful buttonhole. 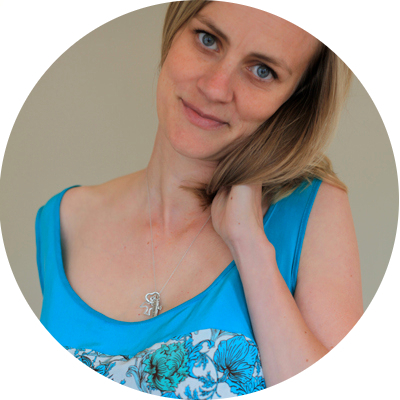 This photo highlights the one design change I made to the pattern. The front and back are supposed to contain six pin tucks. I stitched my first one in backwards, which created a pleat instead of a tuck. Since this fabric shows every stab of the needle, I decided I’d just continue stitching them all backwards. I figure I’ll use needing to get the tucks right as an excuse to make this dress up again some time when procrastination peeks its head in again. I was actually able to give this dress to my niece in person yesterday. I’m in Seattle right now visiting my brother and his family. This dress is a present for our mini-family reunion. And, since they’ll be jetting off to Michigan soon for a giant family reunion with my sister-in-law’s family, just maybe this little dress will get to participate in two family reunions this summer! Beautiful little dress. I love the jeans detailing with the topstitching. Not too much beats a good buttonhole! so cute! Isn’t it so gratifying to sew kids stuff every now and then? So adorable – beautifully made. I’m sure your niece will love it and will look beautiful in this dress. What a great gift. Your niece is going to be one stylish little gal! CUTE! I love the pintucks. what a gorgeous dress, far more enticing to the eye than the o&s pattern pic imo, makes me want to sew one for my own niece, and maybe draft something similar me-size, so simple but chic looking! It was a fun and easy make. The neck ended up being a bit wide, but I really liked how the rows of stitching gave definition to the skirt hem. I may think about adding several rows of topstitching the next time I make a full skirt.